There’s something about satin that absolutely love. It feels festive and exudes royalty. Concurrently, it is also something that I wouldn’t mind wearing everyday. 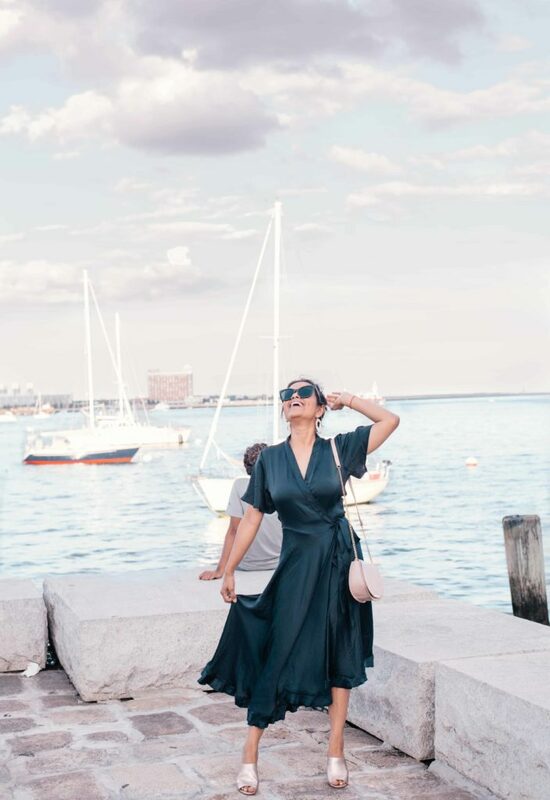 While it isn’t quintessentially a fabric that comes to mind when you are picking out something for a casual outing – the flowy, shiny fabric is what makes me want to reach for it. And not to mention, it can be as dressy as you’d like it to be. With the right shoes, right accessories and right attitude – it’ll go with you to the market and straight then to meet the friends for dinner. Satin plays a very prominent role in Indian outfits. From basic every day wear to big fat Indian weddings – there’s always a satin galore and a whole spectrum of styles showcasing the rich history and cultural belonging that this fabric belongs to. 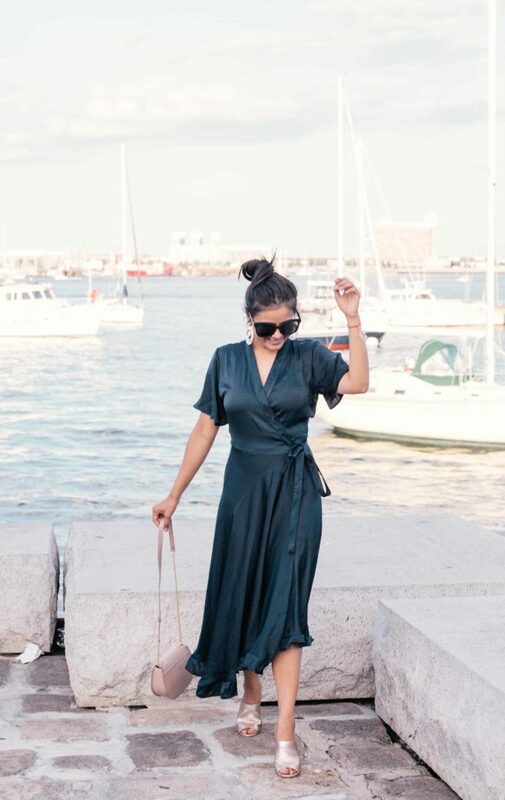 Casual pairing : Unless it is a formal occasion you are wearing the satin to, skip the stilettos. A pair of casual slides or sandals are will balance out the look from seeming overdressed. Pair with Jeans : I love satin tops – pairing them with jeans or a skirt. They are the perfect mix of chic and sophisticated for office wear. Satin Pumps: A good pair of pretty satin pumps in the closet will go pretty much with all your party outfits. It comes in very handy during the holidays. Satin Loungewear : My mom got me satin PJs when I was in college and they were literally my favorite thing to wear. Seriously, all the cozy feels for lounging. I also love satin nightgowns – it is one way of feeling on vacation even at home. Belle of the Ball : Satin has always been a popular choice even in history when it comes to dressing for occasions. 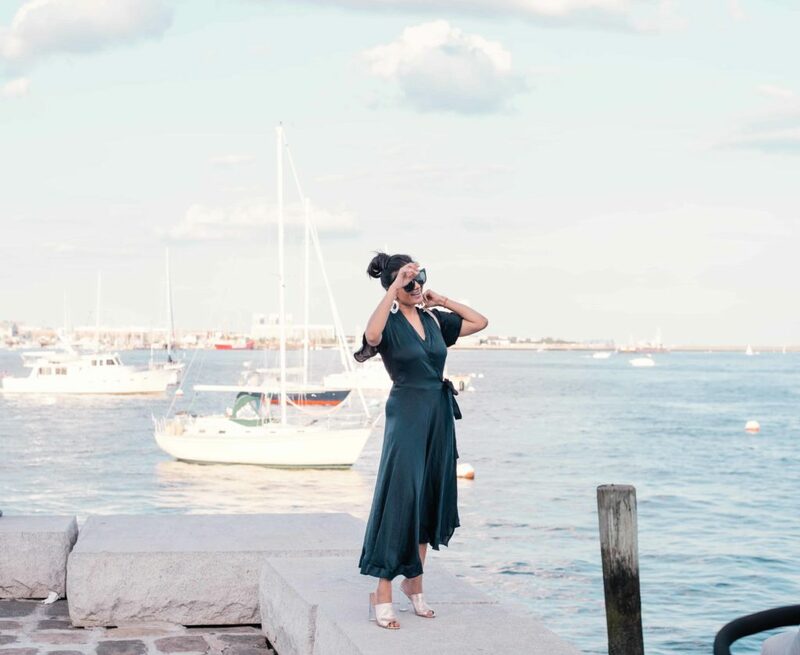 If you are having trouble deciding what to wear to the office party or the black tie event – you can never go wrong with a satin gown. 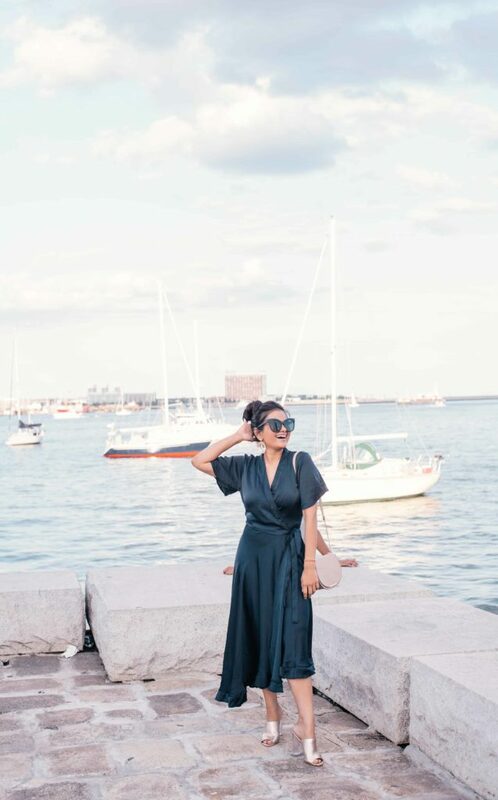 Rounding up some of my favorite satin pieces below. Love the ideas you shared. I had only one satin blouse and wore it to the office occasionally. It’s good to see some other ideas to wear. I can see why – gorgeous! I will always love a wrap dress. Wooww! Cool dress! I’m in love with it! Can’t blame you dear, that’d be my favorite dress too if I have one! Looks sooo soft, flowy, and breezy, the cloth is simply elegant, and that wrap style just can’t get old. Lovely look on you dear. Growing up (like 14-15ish) I don’t know why I absolutely used to hate satin…maybe cos’ I saw it way too much! But now I really love the classy and the royal touch the satin fabric adds! I never tried satin PJs but I guess I should! 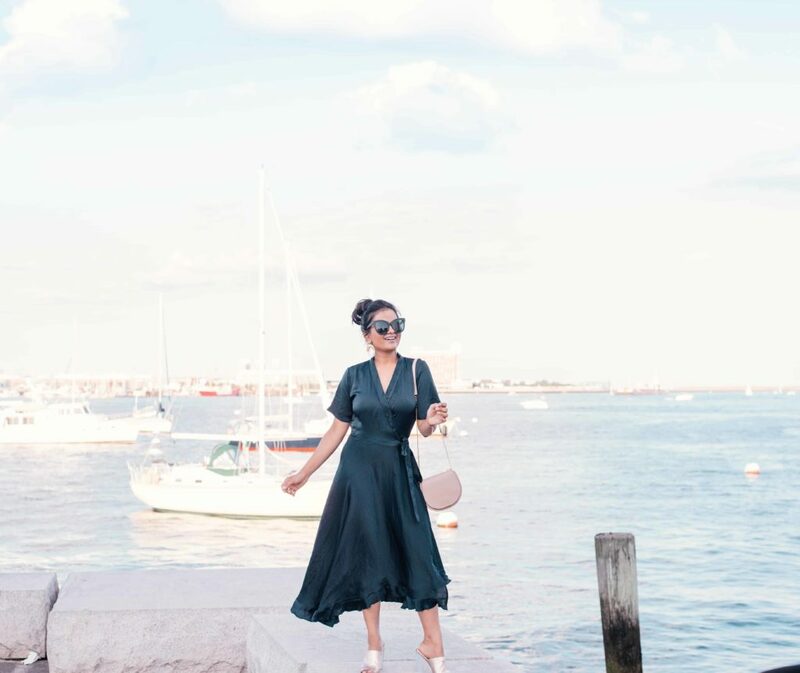 Your wrap dress looks so lovely! I think there was a phase where I wasnt a big fan of satin either. But now love it. The dress is so dreamy. Glad you liked it. Thank you so much for stopping by. SO CUTE! I love your photos and outfit girl!!! Great styling as always!